Author: Vital Source Technologies, Inc.
Use Bookshelf to download and access VitalSource textbooks on your iPad, iPhone or iPod Touch. 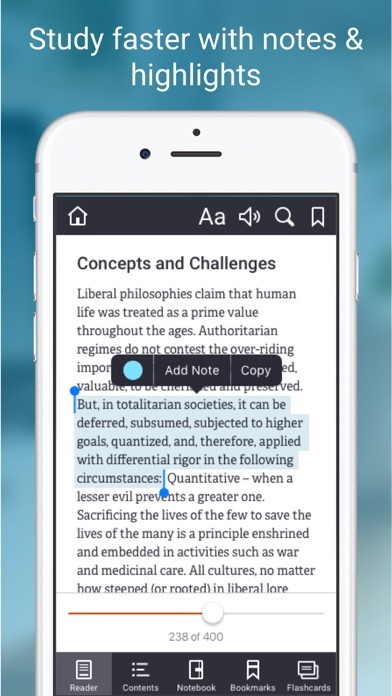 Read your books online or offline and create notes and highlights to help you study. 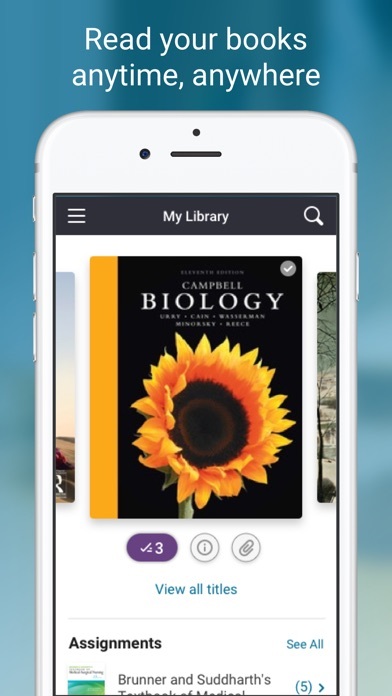 •	Download books to your iOS device for easy online or offline reading. •	Simple, user-friendly navigation and a clean reading experience. 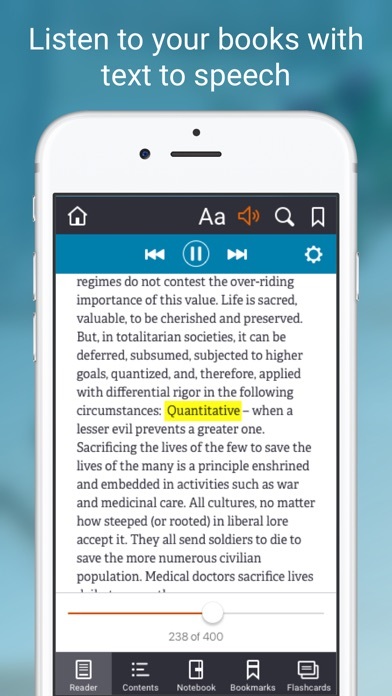 •	Search inside your book for a term or phrase. 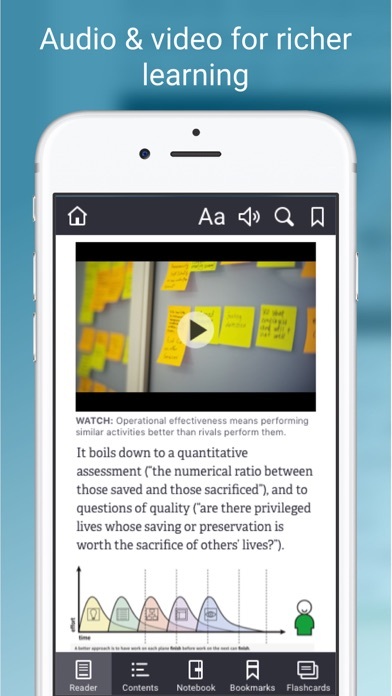 •	Select text to create notes or highlights from your mobile device. 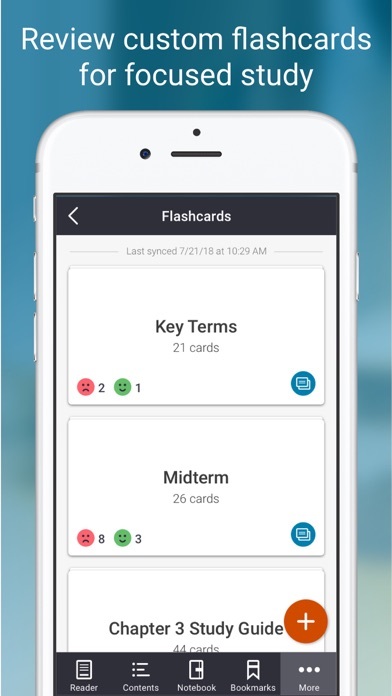 •      Review flashcards to quiz yourself on key concepts. •	Tap to open figures, view captions, and pinch to zoom. •	Use text-to-speech to listen to your textbooks read aloud. 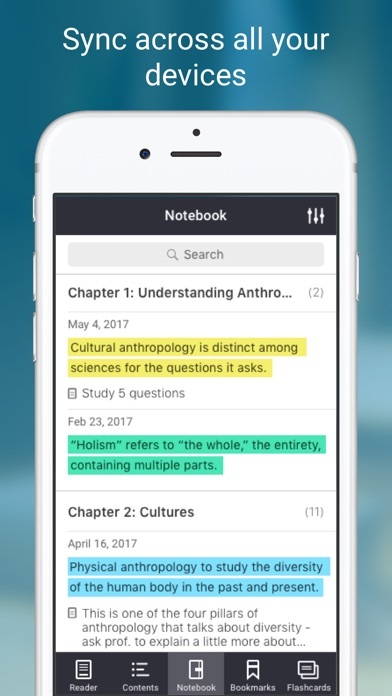 •	Sync your bookmarks, current reading position, and all of your notes and highlights between your iOS device, desktop, and online Bookshelf apps. •	Access to one or more VitalSource textbooks.